Gypsy Mushroom - Cortinarius caperatus? brownish knobbed cap with wrinkles. 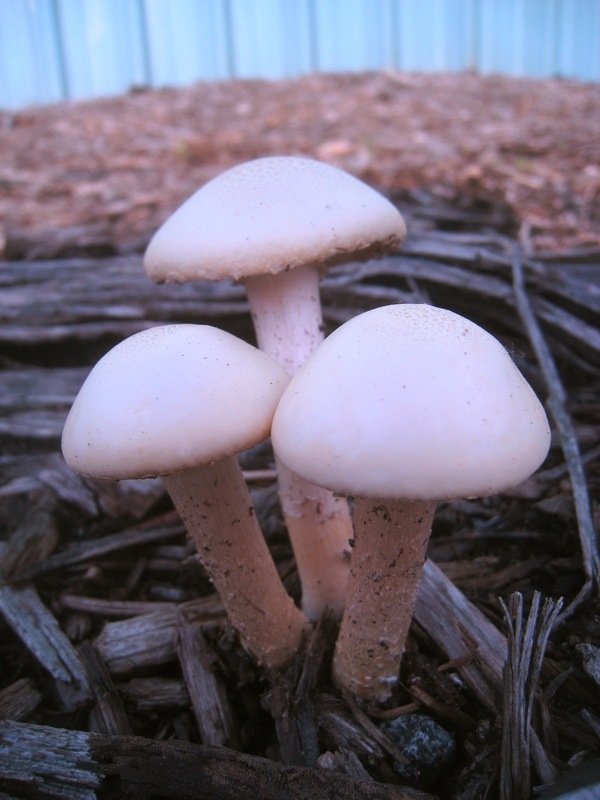 A whitish bloom is often noted that was absent on these mushrooms, probably washed off with the heavy rain fall. stem with a ring, rougher texture near the top. 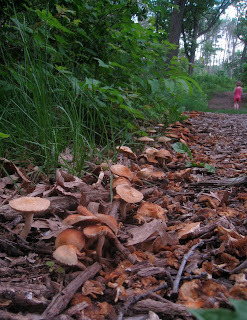 However the habitat and season of the mushrooms pictured here didn't match exactly. 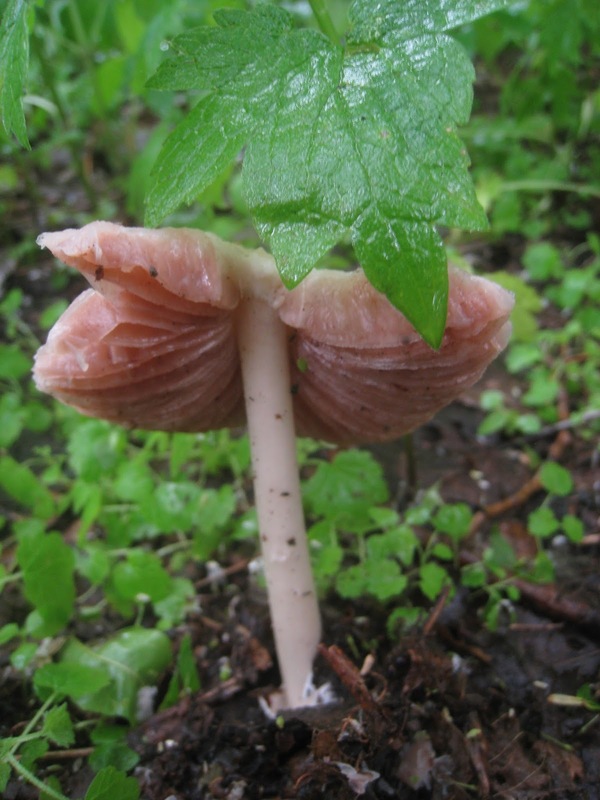 C. caperatus is usually described as woodland species and mycorrhizal with various trees. These were growing at the base of a River Birch that had been planted last year in a newly landscaped area. The season listed is summer to fall, so it seems a little early, but than again we've been having cooler than normal weather, so maybe to the mushroom it seems like summer is already ending and fall beginning. But these habitat and season preferences are general enough that I'm pretty confident, based on physical features that these are Gypsy Mushrooms. 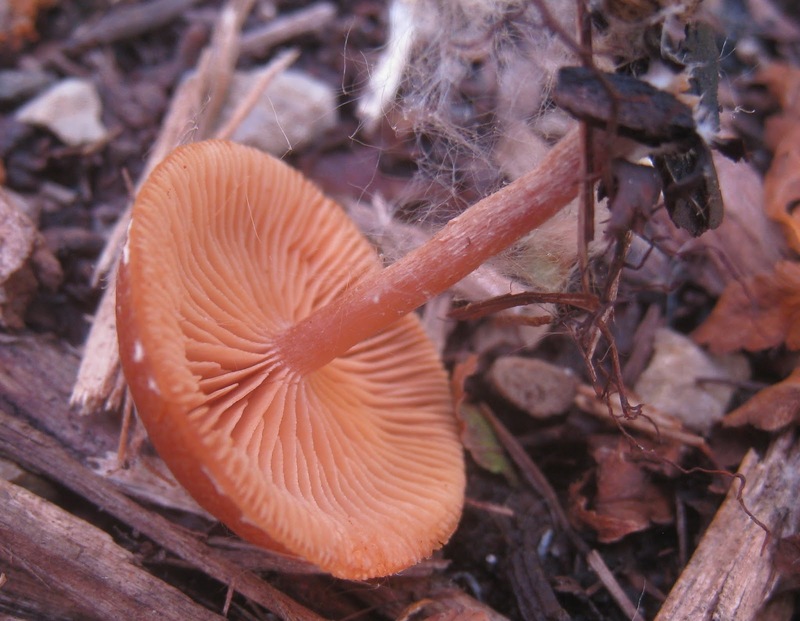 A small brown mushroom of woody debris. 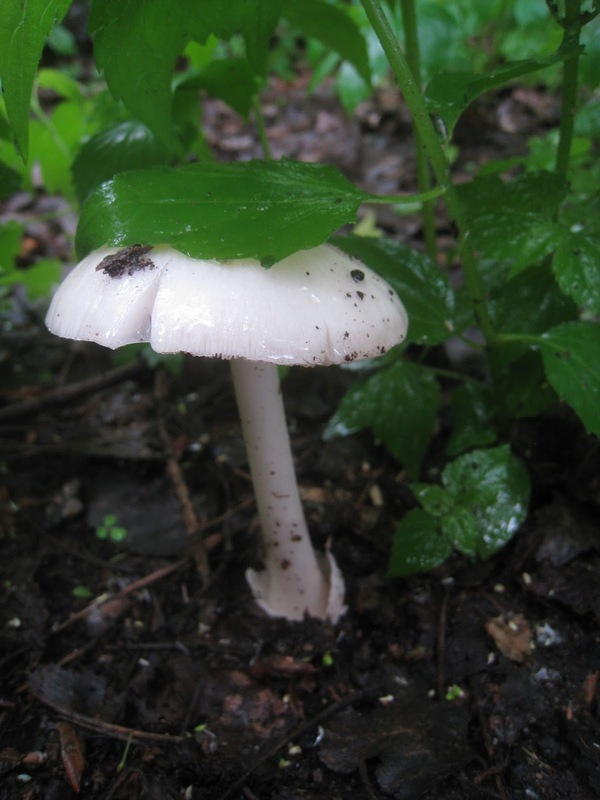 It usually features bits of white tissue along the margins of the cap. Schüppchen-Trompetenschnitzling, which seems like an excessively long name for such a small mushroom. Growing in some sparse wood chips alongside a warehouse in North Minneapolis. Maybe bleached out Agrocybes?